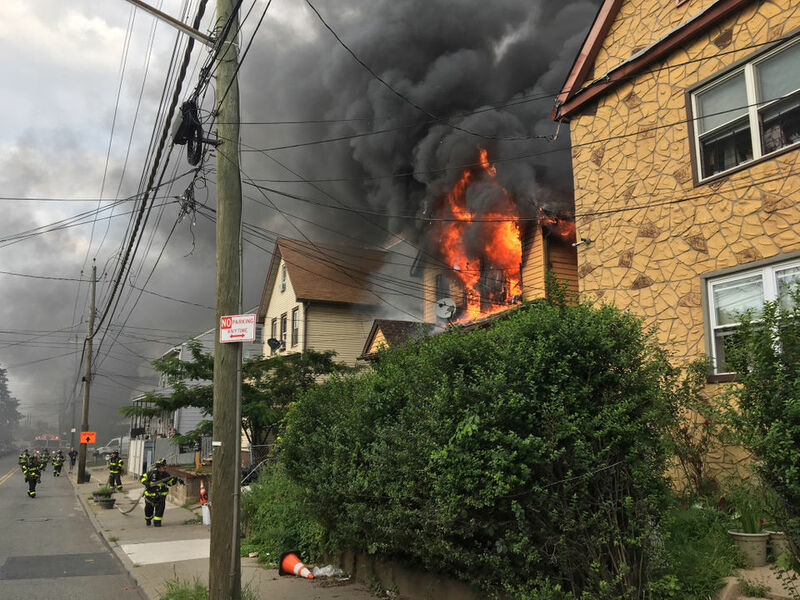 STATEN ISLAND, N.Y. — Firefighters battled a large blaze that sent a family fleeing and caused significant damage to a home in Elm Park Tuesday night. The fire, on the second floor of a home on Morningstar Road, sent flames and thick, black plumes of smoke into the sky. The location is a multiple-story home near the Bayonne Bridge. New York City Department of Buildings records indicated two complaints were filed against the landlord of the building in the past year.